THIS BLOUSE IS NOW IN PRODUCTION AFTER BEING VOTED IN BY THE MAJORITY OF YOU VIA SOCIA MEDIA! 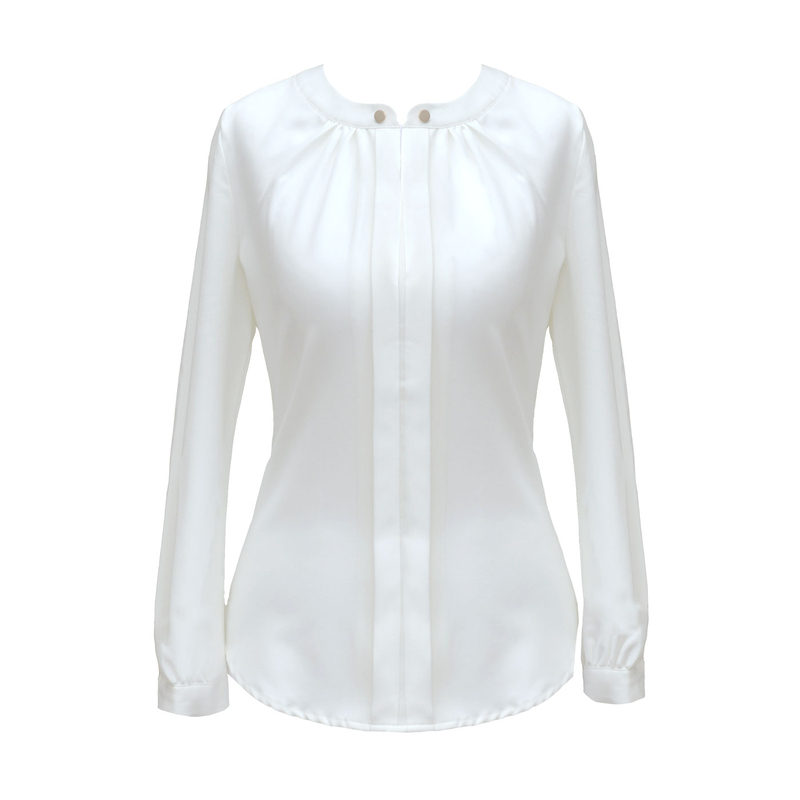 An elegant long sleeved petite ivory blouse with a double panel at the front. 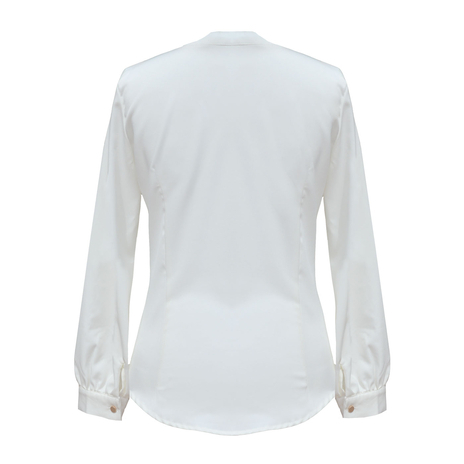 The crew neckline features decorative gold buttons also seen at cuff openings on sleeves. The front split neck opening on the blouse fastens with a hidden button allowing you to wear this effortlessly at work or casual settings. COMMENTS : Love the neckline details! COMMENTS : Looks so elegant yet simple. COMMENTS : Very classic and stunning! COMMENTS : Can't go wrong with wearing white with its style and design. COMMENTS : It has all the qualities (from design to quality, if fabric is as good as the Anita shirt I bought) which make it worthy to be voted in! COMMENTS : I love the neckline detail. Why not also have some alternative options with print or spots? COMMENTS : Love the neckline design. This is beautifully elegant especially the colour and quality. COMMENTS : Classic and elegant, I would make sure it's not too long though.